In part one of this series, chartered accountants Laurence Slavin and Katie Collin look at reviewing the practice finances with a view to preparing for Making Tax Digital, being ready for possible mergers and ensuring expenses are well controlled. In part two of this series, chartered accountants Laurence Slavin and Katie Collin examine the expected income for a practice, succession planning and planning for long-term success. In the final part of this three-part review of practice finances, chartered accountants Laurence Slavin and Katie Collin look at issues relating to property. 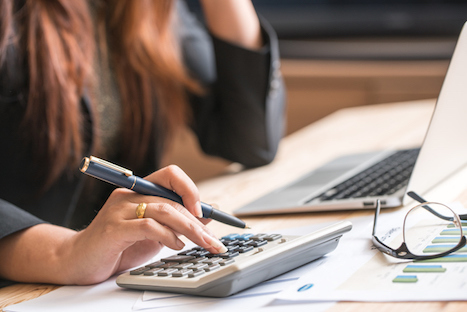 Accountant Jenny Stone explains how practices can put in place a robust financial plan to help them survive in these challenging times. Effective budgeting can help practices ensure they are a financial success. Laurence Slavin explains how to do this and provides a sample spreadsheet to help with calculations. In these times of financial uncertainty, the ability to assess the practice's business risks is essential, says Russell Finn. How practices can work out whether it is worth taking on a new contract, including a downloadable spreadsheet to help with the calculations. By Laurence Slavin. Accountant Laurence Slavin highlights some examples of fraud in general practice and offers advice on how to prevent them occurring in your business. Specialist accountant Laurence Slavin explains the rules surrounding private work undertaken by practices contracted by the NHS. With salaries being the biggest expense in any practice, there is increased pressure to manage staff costs effectively. Fiona Dalziel provides advice on how to do this. The run-up to a new financial year is a good time for practices to review their accounting processes and consider a cloud-based approach, says Laurence Slavin. Guide to practice accounts: What is included in a set of accounts? Is it ever worth GP partners setting up a limited company? Chartered accountants Laurence Slavin and Katie Collin explain how limited companies work. The government has confirmed that employer contributions to the NHS pension scheme in England and Wales will rise to 20.68% from April this year. Details of the latest updates to the Medeconomics GP Fees Database.